Description: Japanese CD reissue of a super rare album! JARO was a minor label that existed from 1959 and 1961 and released a total of just eight albums. Because of the scarcity, their original LPs are highly sought after by record collectors. 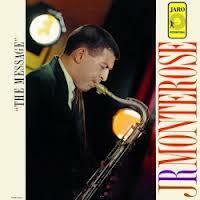 The Message by JR Monterose is doubly rare because he left very few leader albums himself. The personnel on this album--Tommy Flanagan, Jimmy Garrison and Pete La Roca--is stellar, and the performance is superb. For these reasons, the original LP has been traded at very high prices. Now it is reissued in Japan by SSJ Records utilizing the new DSD mastering. The reissue producers intentionally chose the mono masters which sound better than the stereo masters. This is a great jazz album and a must-have reissue for fans of JR Monterose! Recorded November 14, 1959 in New York. Mono.